Unbounce Meetup – Vancouver from Unbounce on Vimeo. Two weeks ago, on Wednesday, Feburary 5th Unbounce hosted it’s very first Unbounce Meetup in Vancouver. And you might be thinking – a meetup? Big deal. A crazy amount of meetups happen everyday, so why are we writing home about this one in particular? For us, it was a bit of a milestone. For the past four years we’ve been busy building Unbounce and haven’t hosted an in-person event dedicated to our biggest advocates: our customers, supporters & No. 1 fans. But in the end, it wasn’t about us, or some milestone. Ultimately, we want to dedicate an evening to you; one that appreciates you, commemorates you and more importantly, allows you to share ideas, swap stories, widen your network and get inspired. So how did the night go down? CEO, Rick Perreault welcomed a packed room of 100+ Unbounce customers, team members, supporters and even those interested in Unbounce to The Profile Vancouver to listen, learn and connect. After some tasty treats courtesy of our awesome sponsor SPUD, 8 Unbounce Customers & team members took to the stage to share their online marketing, analytics, testing, design and landing page experiences. Though speaker presentations varied, there was one common thread: they were our own customers (a few team members too) that live and breathe online marketing everyday. Not all speakers spoke strictly about Unbounce. In fact, many of them didn’t. Although it was an Unbounce meetup, presentations weren’t Unbounce-centric, rather they focused on how our customers leveraged analytics, testing, content, landing pages, webinars and more to become smarter, better marketers. Instead of rattling off my own summary of presentations, I thought I’d let our attendee’s do the talking (er, tweeting rather) and recap the event through a small collection of 140 character (or less) bite-sized thoughts. To see the full Twitter recap of the event go to our Vancouver #ubmeetup Storify page. Each guest presenter’s slide deck are linked below too! Oh and we were trending in Vancouver! This past Wednesday was awesome in so many ways. Although I’ll be the first to admit it wasn’t perfect (slide hiccups, clicker malfunctions and what have you), it was something for the books. And these Unbounce meetups will only get better from here. If you’re reading this and thinking: “Damn, I live in Vancouver and somehow missed the memo.” Please join the Vancouver #ubmeetup mailing list here. And if you’re reading this and thinking: “Damn, I really want an Unbounce Meetup to take place in my city.” Please get in touch with me at meetups@unbounce.com. I’d love to make something happen! 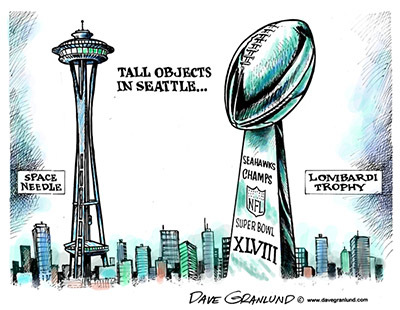 PS – Next stop: Seattle – 2014 Super Bowl Champs! If you live in Seattle (or close by) join us for the Seattle Unbounce Meetup on Thursday, March 13th. Know someone who should attend? Feel free to pass along the invite.